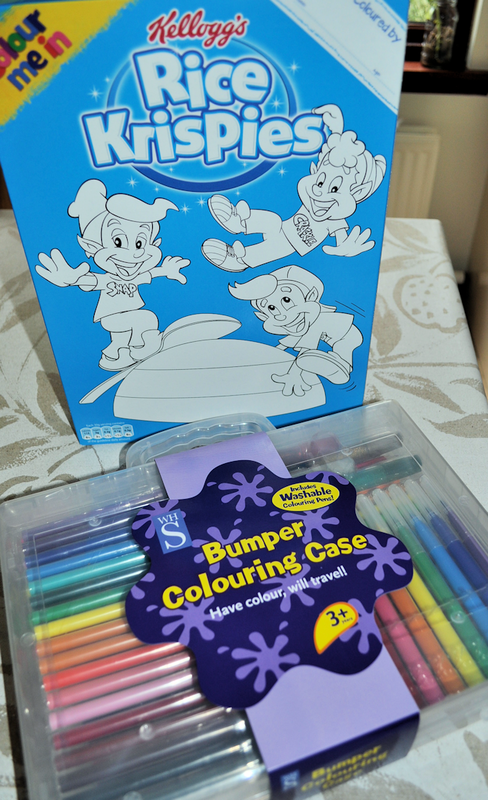 Kelloggs sent us a big pack of Rice Krispies, with a fab case of colouring pens, colour changers, glitter glues and more. The colouring pack alone has kept my kids entertained for a few days now, and they’ve rediscovered an enjoyment of colouring in again. Middler has learning difficulties, but he likes to colour in. His older brother helped him to do the figures and they made a pretty tidy job of it as a team. 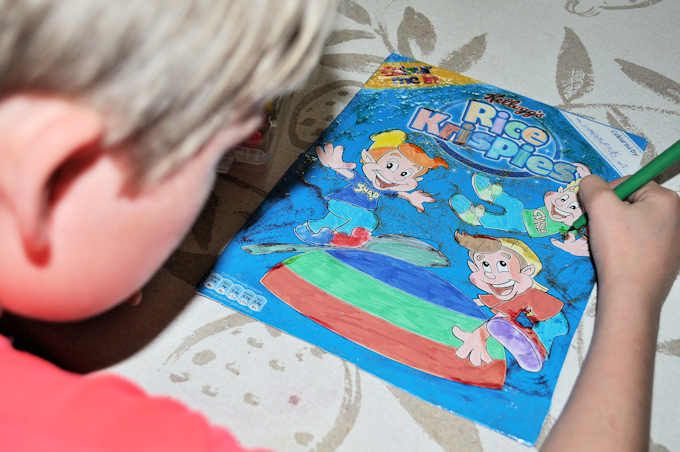 The next picture is my entry for the Britmums #ColourMeInRK competition, sponsored by Kelloggs. The prize is £500, or a year’s supply of Rice Krispies. 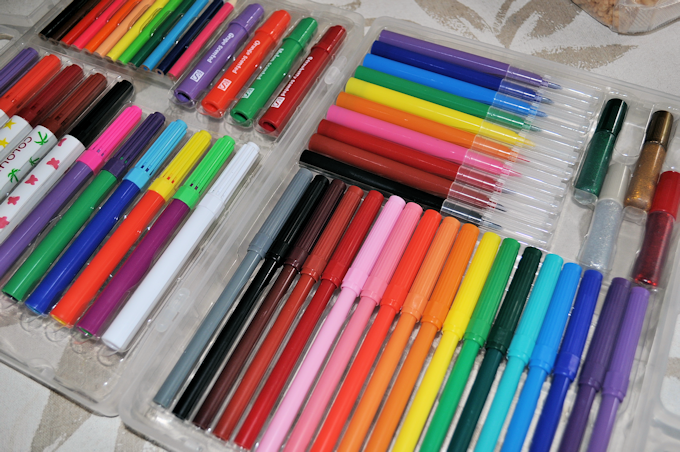 When I mentioned a prize, the kids took colouring in very seriously indeed….. There is also the opportunity for 10 entries to be put on a T-shirt for the child to wear. Lots of bloggy fingers crossed. If you want to enter, visit the Britmums Linky and link up a blog post entry of your own. 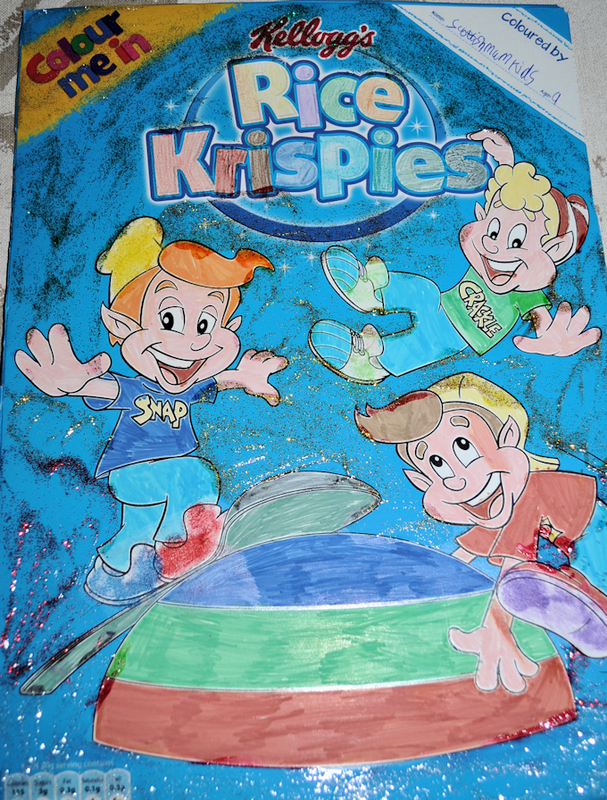 wow what a sparkly Krispie box, well done it looks fab! GORGEOUS! Loving the glitter! I actually think that Kellogg’s needs to take glitter on the box more seriously! A great touch! Excellent – much better than my 4 year olds attempt! Good luck!